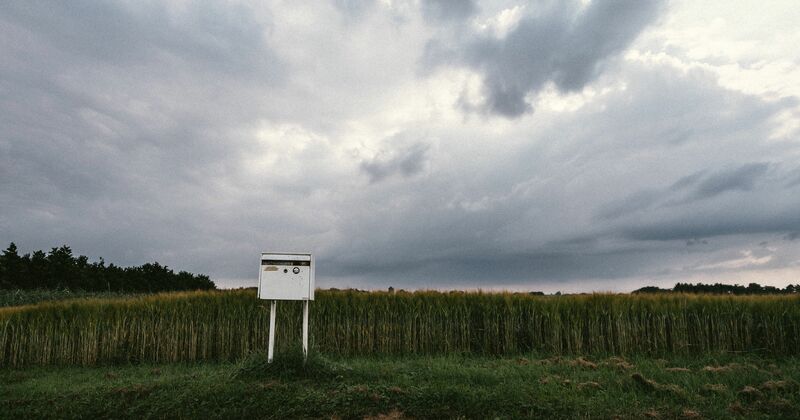 I drove by this mailbox a few times, think there might be an good photo here. I finally got around to make a stop here and make that photo. And I really like it, I choose to make it in to a panorama, because I thought that would suit it very well, and it sure did. The mailbox by Bo47 is licensed under a Creative Commons Attribution-NonCommercial-NoDerivatives 4.0 International License.